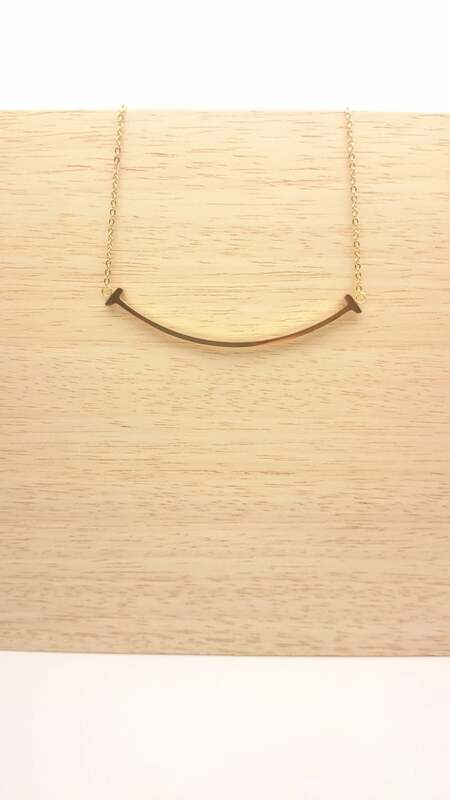 Gold Curved Bar Necklace stainless steel//Minimalist gold smile bar necklace//Smile necklace gold plated on stainless steel hypoallergenic. 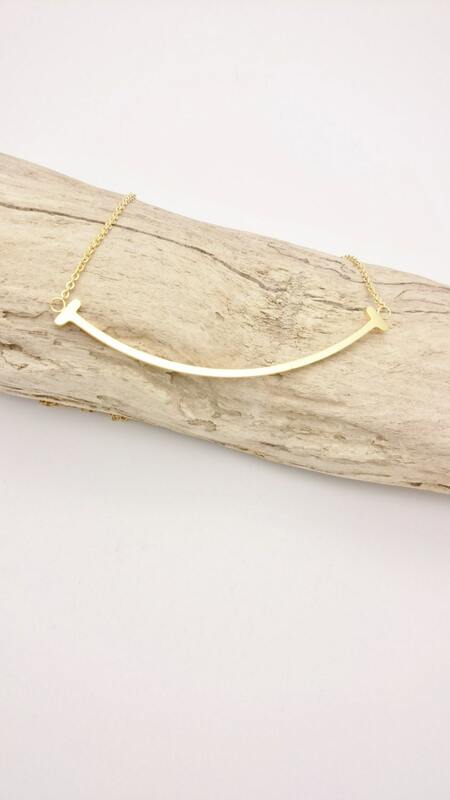 Shiny gold plated 18k curved bar stainless steel Necklace and thin chain. 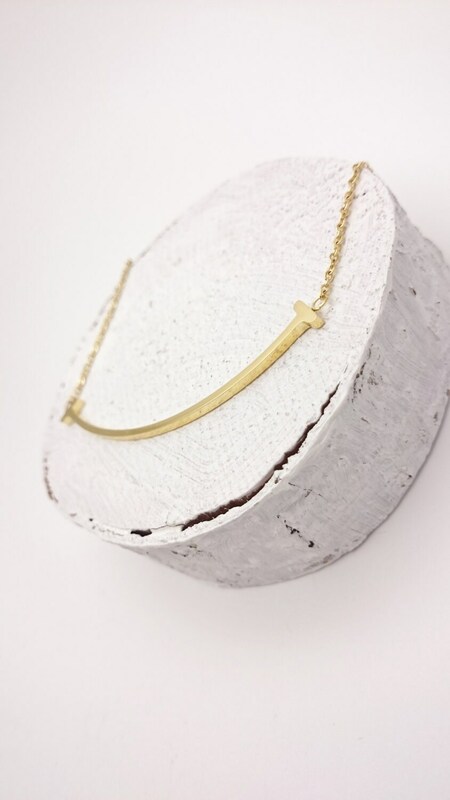 Gold plated 18k stainless steel necklace. 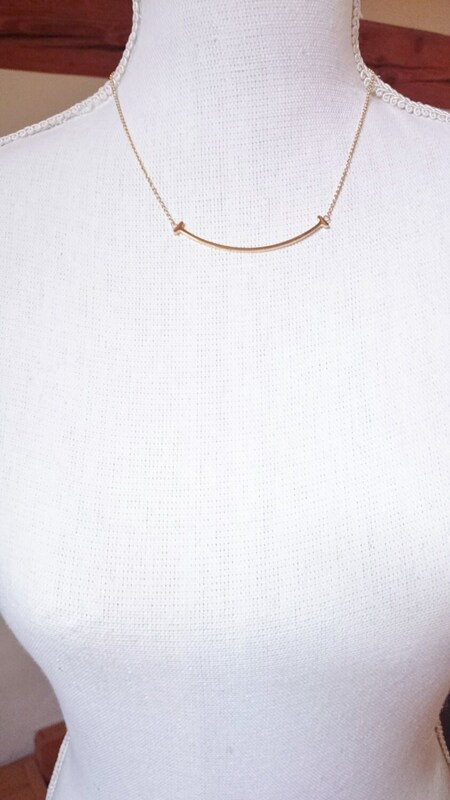 Hypoallergenic and minimalist necklace. About 15 inches chain with lobster clasp + 2 inches extension chain. Pendant : about 65 mm mm wide and 3 mm thick. 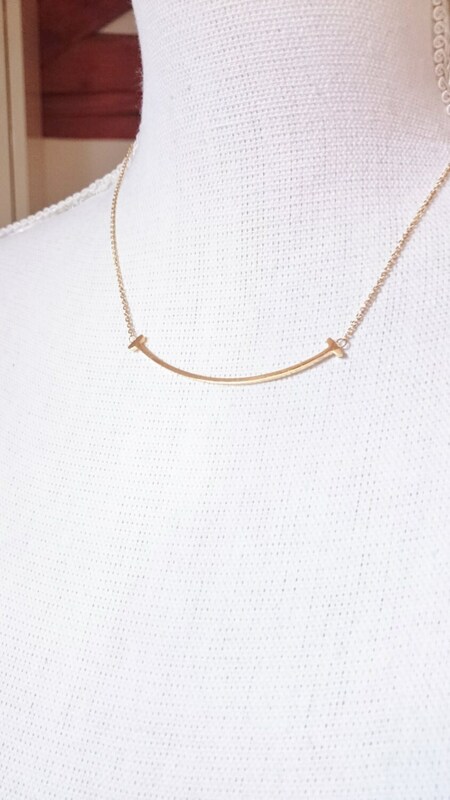 This necklace is simple and shiny, perfect for every day wear !